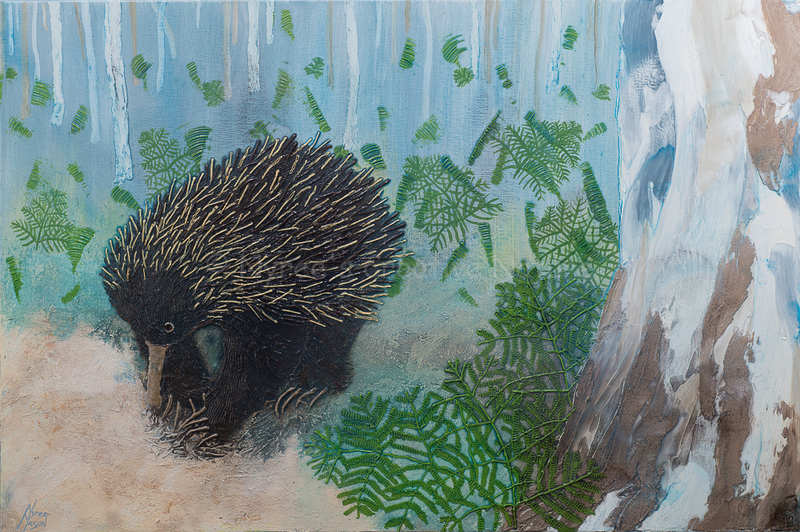 If you are interested in purchasing any of the available artwork, or would like commission something similar, please feel free to contact me. Please note that indicative prices do not include postage and handling if required. 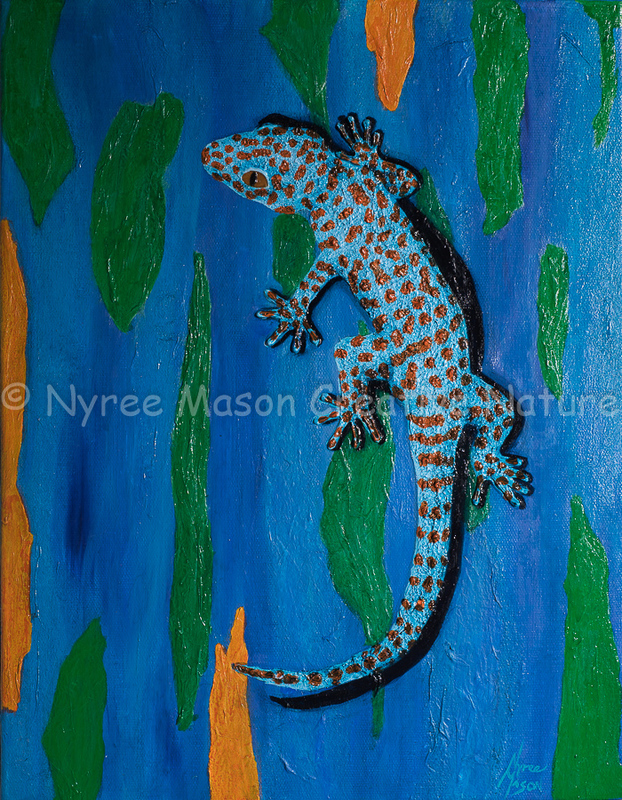 “Gordon” the Tokay Gecko: Mixed Media on wrapped thick-edge canvas. ($70). 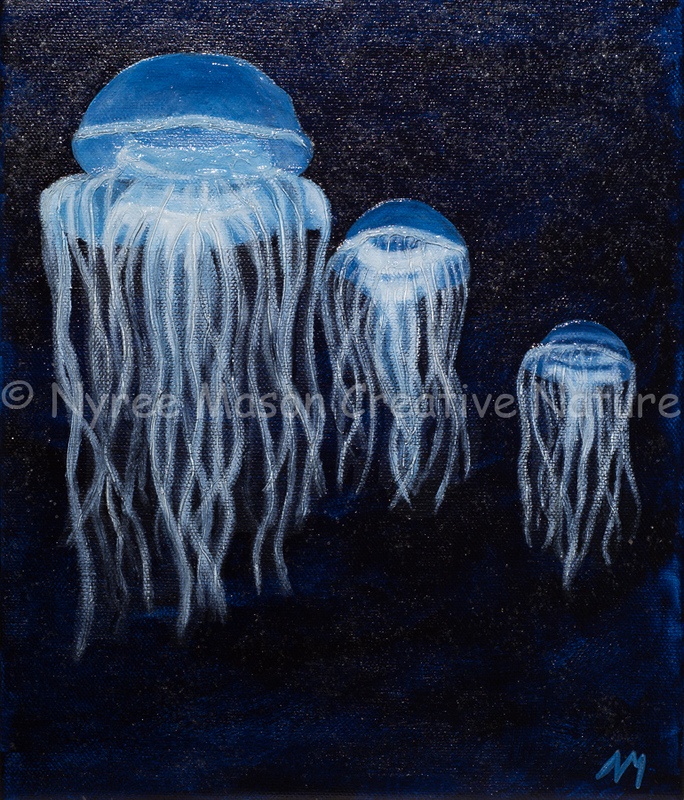 “Spooky Jelly Family”: Mixed media on wrapped thin-edge canvas. 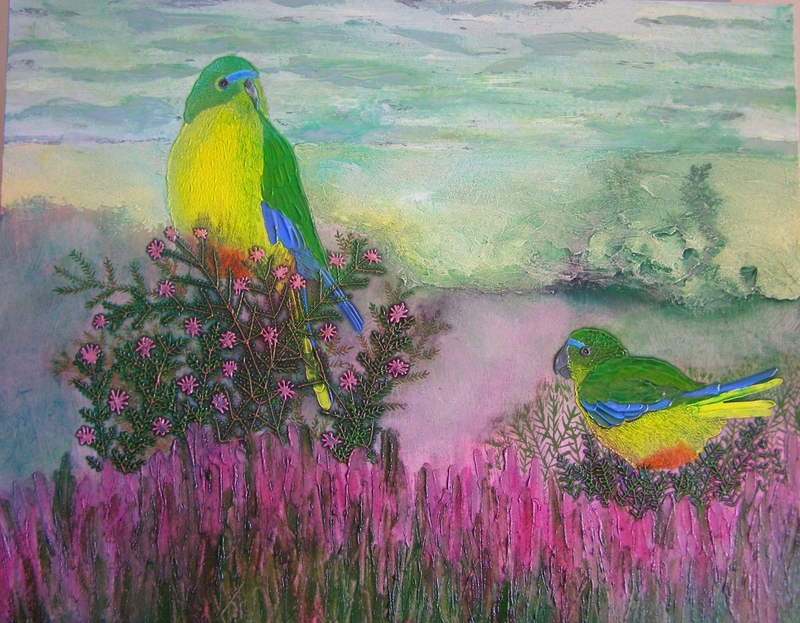 (SOLD). 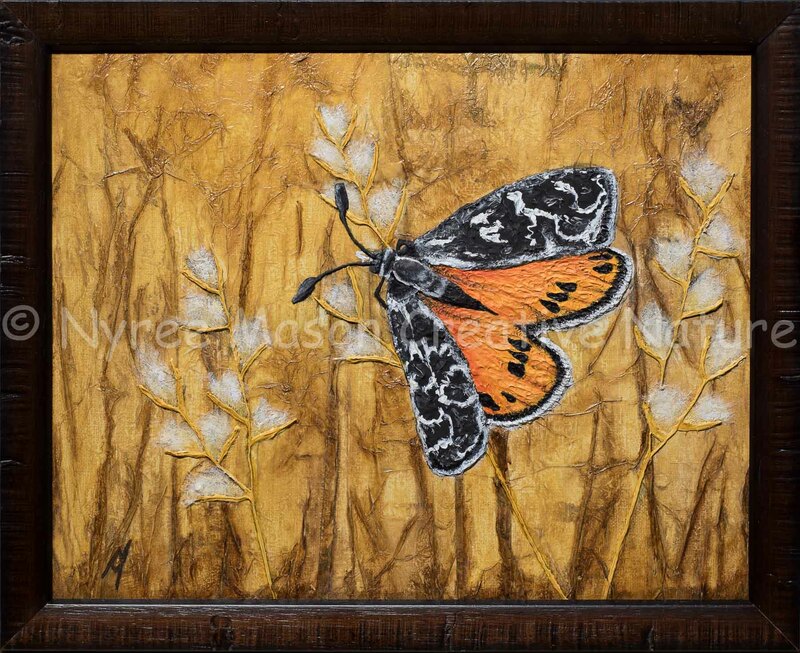 “Golden Sun Moth”: Mixed media on canvas board, framed. (GIFTED). 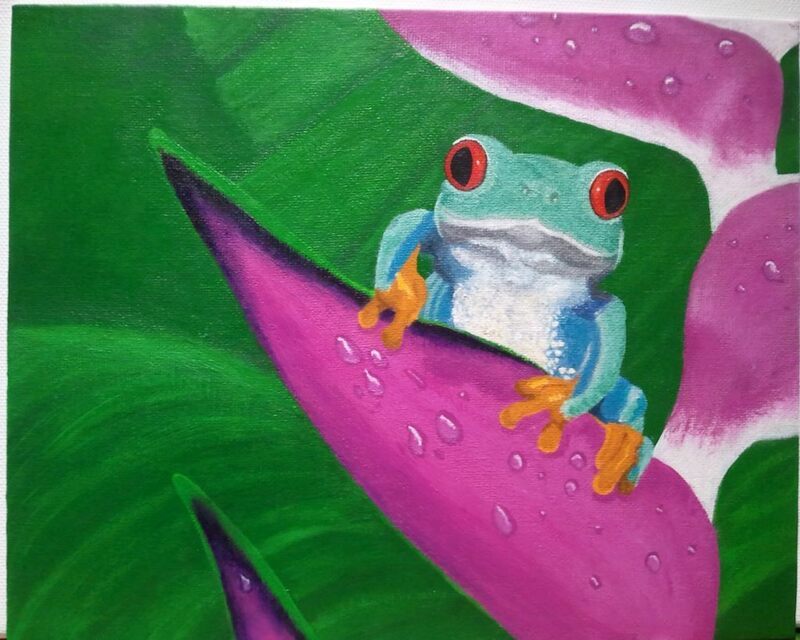 “Happy on a Helliconia”: Acrylic on canvas board. (GIFTED). 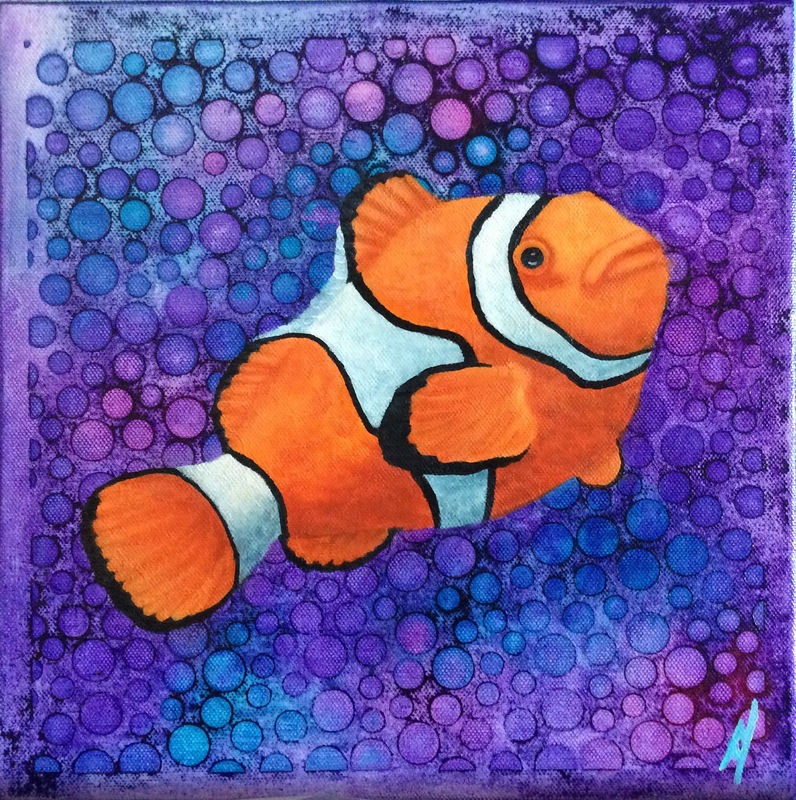 “Finding Nimoy – the Search for Spock II”: Acrylic and Ink on thin-edged wrapped canvas. (GIFTED).